My dog has bitten me, or a family member. 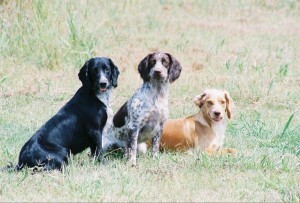 Those with problem pets are turning to Shelmar Kennels for dog obedience and behavior training. 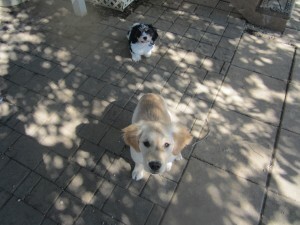 Puppies begin training at 8 weeks of age, although basic obedience training is offered for dogs of all ages and breeds. Whether you know it or not, how your dog behaves is a reflection of you. Though dogs are essentially wild by nature, it is imperative for dog owners to make sure that dogs are taught how to handle their natural behavior and behave properly in a domestic environment. Being aware of the necessity for good doggie behavior, which requires a continued commitment from both the dog owner and the dog itself; many dog owners are turning to dog obedience schools to teach their dogs the ropes. A place where dog owners can choose from one of four packages currently offered to address everything from basic obedience training to aggressive behavior. 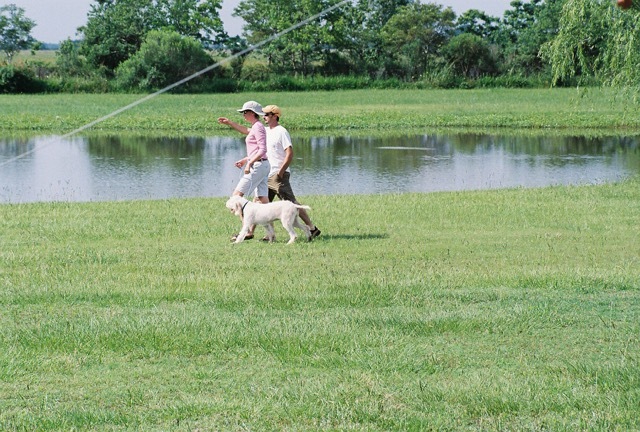 The training, facilitated fully by Shelmar Kennel owners and dog trainers, Martin and Shelly Bell, trains dogs to do basic commands such as sit, stay and heel, and also teaches them to come when called in a controlled environment. Dog behavior advanced level training teaches the dogs to stay off of the furniture, and some forms even address biting and other undesirable behaviors that lead to an unhappy environment for both dogs and dog owners alike. It fundamentally comes down not to the pets, but the people. You can teach any creature to attack, and you can teach any of them not to, say’s Doug Whitman, chairman of the psychology department at Wayne State University. While it is recommended that dog behavior training begins at eight weeks old, older dogs that have been subjected to aggressive breeding should undergo dog obedience training as soon as possible. 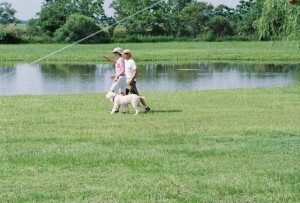 Typically, effective dog obedience training should last for approximately eight weeks, with additional training sessions for the dog upon occasion. Dogs have to understand who is boss, and for this reason it is important to establish boundaries and roles early on. Training your dog to allow you to answer the door and not allowing it to sleep in your bed will help your canine companion understand that they are not your equal. While your dog may be playful and well behaved while you’re around, it’s never safe to assume that your dog has all of the aggression trained out of it. Because dogs can have fits of aggression, leaving them alone with children opens the door to numerous dangers and potential injuries. When they are left alone are said to be suffering from ‘separation anxiety’. This was originally a psychologist’s term for specific human behavior, now almost everybody uses it when explaining why the dog shakes, paces, pees on the floor, growls or barks when the owners are in the process of leaving the house. separation anxiety is a troubled feeling when left alone or apart from his ‘pack’. Dogs that display anxiety when left alone, usually dominate their owner’s attention and praise, including being petted whenever they demand it. Well-intentioned owners in fact spoil most dogs even more; not realizing the extra attention given is making the problem worse. in essence – being the leader of the pack! It is simple to see why. When the dog wants some affection, it simply nudges the owner, and the owner complies by immediately touching. Dinnertime draws near so the dog whines and prances and dinner gets put down, because the owner has been told to serve it by the dog. In the dog’s mind this is the relationship you have. Dogs do not understand ownership, just leadership. The dog, acting as leader, is giving you all the visual and verbal clues for you to know what he wants. So you comply. Problem is that now the dog has become the leader. Now when you leave the house, which is of course against the dog’s wishes, pup is predictably upset, and this is when the problematic behavior starts to occur. whining, uncontrollable shaking/shivering, chewing, pacing, and self-mutilation, urinating in the house and in many cases physical aggression directed towards the owner. A display of aggression is the final straw for many owners before seeking help, but I have seen advanced cases where the dogs would attack the owners, snarling, snapping and even serious biting. This dog is attempting to physically control the owner. I talk to many people with this problem and the main query owners have is our dog doesn’t control us; he is just scared to be alone. How is this an attempt at control? My answer – depending upon the individual case of course – is that your dog has learned through studying you and being able to feel and hear your emotions that his anxious behavior affects you. You soothe him with your voice as you are leaving and it makes it worse. Because the very act of the soothing tone ‘its OK girl, be back soon baby, is praising and promoting the very behavior you are trying to calm or eliminate. We have set video cameras up to record the dog’s actions in their own home when being left alone. Instructing the owners to behave differently but in a certain and controlled way has allowed us a vast insight into how cunning and sneaky dogs can be! The word manipulate should be introduced at this point. A child will scream for candy at the store because the child understands that the parent, for fear of disapproving head-shakes from the general public, will relent and buy chocolate if enough fuss is made. The child manipulated his own emotions and behavior to get what he wanted – the candy! It’s not difficult to believe that dogs easily have enough intelligence and are capable of performing similar actions. What can be done to help, is there a cure? Could you imagine living your life always anxious? It would very quickly make you sick, emotionally and mentally. We have to make the dog put down all that extra baggage. By acting anxious all the time they are not living the happy life they deserve. It then becomes our responsibility to make the dog comfortable the only way he understands, by having a strong leader. Most anxiety problems in dogs are easily cured; the dog trainer must take back control from the dog. A fully committed obedience program of sit, stay, heel and here is the foundation upon which everything else is built. The dog must give up the desire to be controlling and be content with his place in life. We often find that within the first week of dog training Houston, the dog’s emotions start to balance out as they become accustomed to taking direction instead of giving it. We then establish a pattern of correct praise, exercise and training. Check out our obedience training program and prices here.